Moog supplies sub-systems and components for mission critical systems on the latest generation of military vehicles. 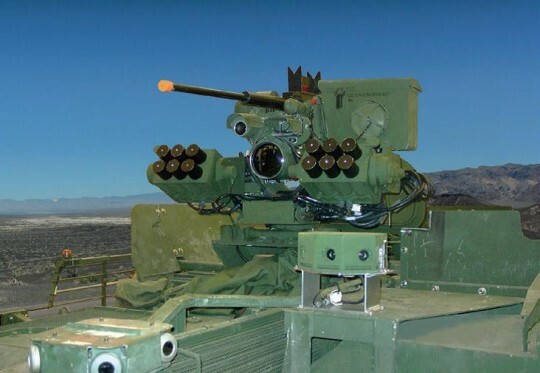 The company’s heritage is in electrohydraulic and electromechanical actuation systems and, through acquisitions and internal development, Moog is now delivering expert solutions in the design, manufacture and integration of weapon sub-systems for military ground vehicles too. Moog’s expertise in fire control, gun control, weapon stabilisation and weapons integration can be found on over 30 of the world’s leading military vehicle platforms, including manned and unmanned turrets and remote weapon stations. Moog’s mobile positioner design enables simple integration into existing systems and allows for various platform mounting applications. The mobile positioner also supports radar or other payloads that can be positioned independently from the pan and-tilt. 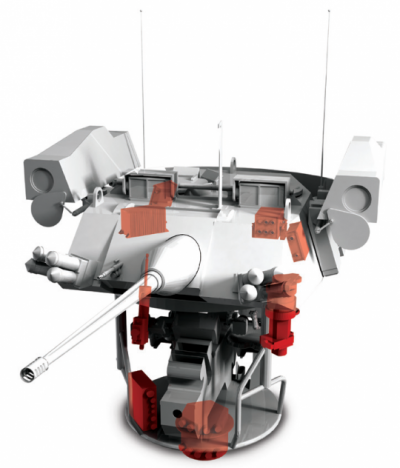 Sensor integration includes antenna, camera, illuminator, range-finding and acoustic systems. For over 20 years MPE has been a trusted supplier to Moog of high-performance, high-reliability, feedthrough capacitors, delivering over 25 different designs. These MPE filters are proving vital for preventing the electrical interference naturally produced by Moog’s latest ruggedised, brushless motor controllers – which need to comply with EMC standard MIL-STD-461E – from affecting the operation of surrounding weapon sub-systems on military vehicles. Among two standard MPE feedthrough capacitors and a customised unit currently shipped in high volumes to Moog, the standard product pictured here is a 100A DC feedthrough capacitor. The product performance, quality, reliability and support provided by MPE have been the key drivers in the specification of the company’s capacitors for Moog’s mission-critical motion control systems on European and American military vehicles.